Create a enterprise grade PC based system that compliments OpenFlow enabled switches that allows for an easy introduction to OpenFlow based SDN for Network Administrators. 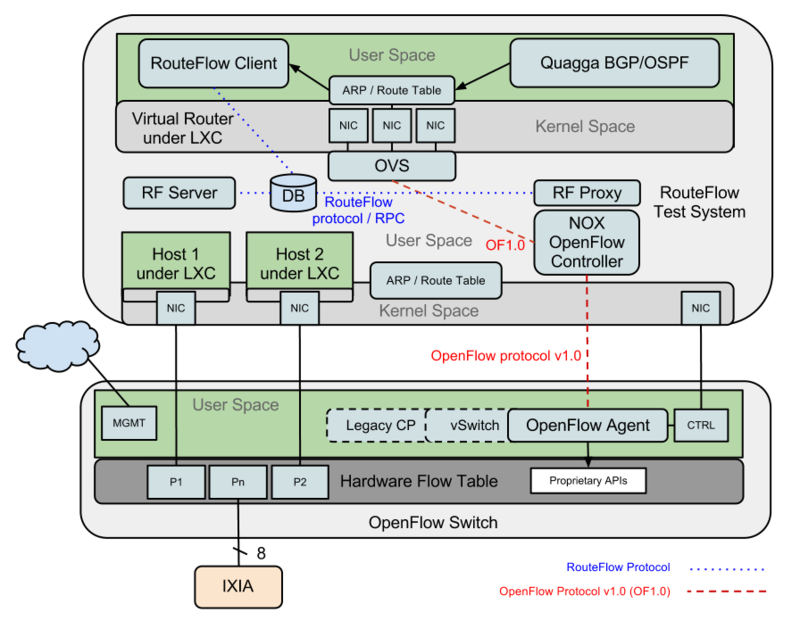 Create a baseline testing system for the use of Router Analysis in testing and benchmarking OpenFlow based SDN Switches. We refer to the project as “The RA System” internally. 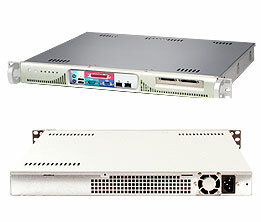 The motherboard used, the SuperMicro X9SCi-LN4F has 4 built in Gigabit Ethernet ports, a separate IPMI, built in video and a serial port. An Intel Xeon E3-1220V2 CPU is used to keep the system enterprise class while keeping costs and power use down. The last parts are 8GB of RAM and a 16GB SataDOM. For the first run at the software image, Router Analysis utilized a combination of the RouteFlow project from CPqD and ProjectW from Josh Bailey. ProjectW is a bootable, modified version of RouteFlow as a cd image. ProjectW runs wonderfully on the RA-REF setup as you can boot the CD virtually via the built in IPMI/iKVM built into the SuperMicro motherboard. This is one of the main reasons we went with this SuperMicro board, to give as much flexibility as possible with the system. Once the system is booted, you can easily work through the ProjectW/RouteFlow examples and work with a live OpenFlow system. Router Analysis, Inc. has been working on a modified version of ProjectW that boots from the SataDOM and allows for configurations to be saved and built. On request an alpha version of this software can be given out. Included in this diagram are extra ports on the switch that can be hooked up to an IXIA, Spirent or tester of your choice. In Part 2 we will discuss the “RA System” and how to utilize it. KSC knows how to build the system, the best person to talk to is Jessie Chen as she was responsible for the modifications to the system to make sure it would function correctly. We ended up having to use an active heat sink on the CPU to make sure it stayed cool. ProjectW v.04 is available via this link. Josh’s team is always updating it, but this version is stable and has a few fixes that were important.